Directions: Adults take 4 capsules daily. Best when taken 2 capsules twice a day. May be taken with or without food. Capsules can be opened. Contents can be taken directly with water or raw juices. Other Ingredients: Vegetable Cellulose, Brewer's Yeast (Saccharomyces cerevisiae), Lactobacillus bulgaricus, phosphorus *RAW Food-Created Nutrients (are individually created through dual-organism cultivation which typically allows for the natural creation of known and yet to be discovered Code Factors such as Live Probiotics, Bioactive Glycoproteins, Bioactive Lipoproteins, Bioactive Enzymes, Glucomannan, SOD, Glutathione, Beta-glucans, Lipoic Acid, Essential Trace Minerals, Glutamine, Polysaccharides and CoQ10. Vitamin Code® 50 & Wiser Men's Formula is rated 4.4 out of 5 by 5. Rated 5 out of 5 by Batman from I am a senior citizen and am very satisfied with the product. At my age, I need a product to supplement my diet. I have taken Vitamin Code multiple vitamin-minerals for years. To me, since they are derived from raw food created nutrients l don't have any concerns regarding artificial man made ingredients. 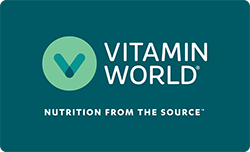 Rated 4 out of 5 by eMpTy from GREAT PRODUCT, a lot cheaper other places Bought them through Vitamin world, so a big THANK YOU to the for the introduction to the Vitamin Code vitamins Price is a little high after I did some comparison shopping. Rated 4 out of 5 by Jazz11 from Good Stuff I have tried a lot of different vitamins, and these are some of the better ones.